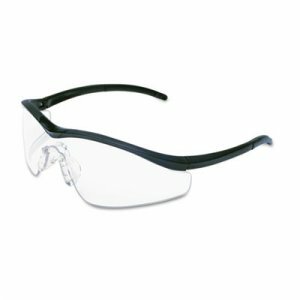 Safety glasses offer a hybrid temple design and non-slip temple sleeves. Soft gel nose piece offers comfort. Breakaway cord can be attached to keep classes in reach. Satin carrying case can be used to clean glasses or store when not in use. Offers superior resistance to scratches and helps prevent fogging. Meets ANSI standards for high impact.